The Bruno Saint-Hilaire brand, combining stylish look with extreme comfort, has moved to Deauville to provide dynamic men and women with an unfailing elegance, with always impeccable cuts and stretch fabrics. A perfect style for all circumstances: going out, working, travelling, and suited to everybody. In the shop, you can find casual or stretch-fabric city trousers, jeans that sublimate your figure and “easy-going” shirts. These refined fabrics are soft to the touch, stretch, ensure an extraordinary comfort and are wrinkle-resistant, preserving their flawless look even if you have just taken them out of your suitcase. These tissues are stain-resistant: even rain drops slip onto the tissue without leaving any stains. They are machine washable on a delicate cycle! Goodbye pressing, welcome freedom! That’s great! 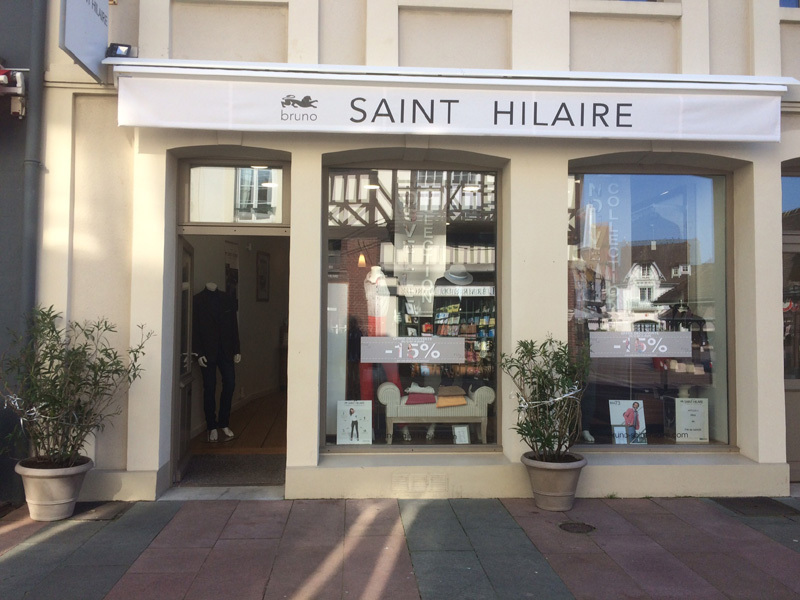 Bruno Saint-Hilaire Shop, partner of the Rallye Paris-Deauville.